Children playing with homemade rafts mountain stream 4K. Children playing with homemade rafts in mountain creek. 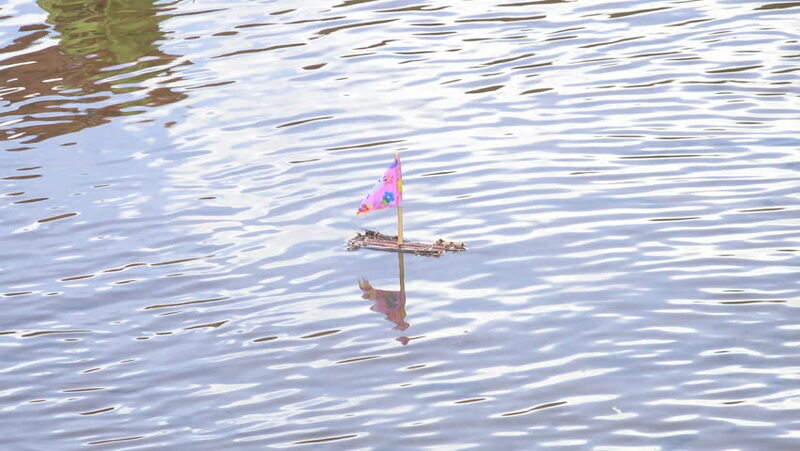 Race wooden stick boats down water to finish in a small pond.